Looks good. What shader/settings are you using? Would you mind clarifying what you mean by this? 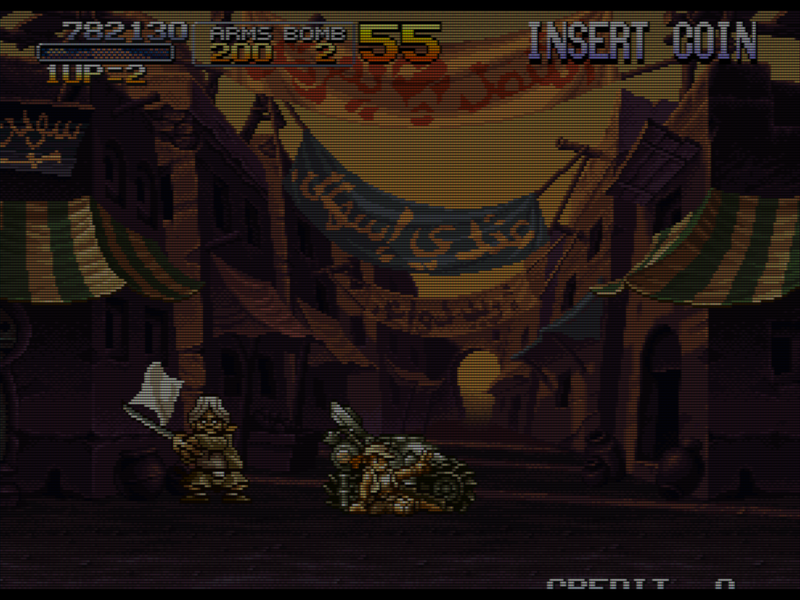 I can’t seem to find crt-potato file anywhere in RetroArch’s shader folders. No CRT was as sharp as an LCD with nearest neighbor; a CRT at the same resolution will always be less sharp than an LCD. The end result here kinda looks like a ~600 TVL monitor that is aging and has thus become a bit blurry. Still looks nice. I have a 31 kHz PC monitor which is even sharper than the xVMs, and I agree that 240p content on such a display without any shaders is basically indistinguishable from an LCD using nearest neighbor scaling. However, there’s still a slight amount of “softness” compared to the LCD that’s hard to pinpoint/explain. Even though it’s just as sharp in terms of the detail it shows, the way the CRT emits light directly from the phosphors somehow makes it softer than the LCD even when both are displaying the same resolution, if that makes any sense. It’s similar to why plasmas look softer (and better, IMO) compared to LCDs, even though both are 1080p. Thanks! That’s pretty much exactly what I was going for; the bloom/blur is slightly exaggerated in the example to make the scanlines a bit more dynamic. That’s just TVout-tweaks-multipass combined with a custom scanlines overlay. I don’t like how a lot of shaders at their default settings result in clipping and/or alter the color levels as a way to make up for lost brightness, and I don’t like having a lot of effects stacked on top of each other. Instead, I just adjust my backlight to 100% and the only effects I use are scanlines, some light blur, and maybe the mask. If your screen has the brightness for it, this method can produce some pretty nice results, IMO. The following is my approximation of a consumer-grade 15 kHz CRT that’s been modded for RGB output. At 1080p, the mask is 360 TVL (1080 pixels / 3 pixels per phosphor “triad” = 360 distinct lines). Since TVs in the late 80s early 90s were typically 300-400 TVL, the mask effect at 1080p is perfect for emulating a TV from this era. Using the dotmask shader, I’ve lowered mask_dark to 0.10, and lowered mask_light to 1.00. The default setting of 1.50 for mask_light results in clipping; in fact, any setting above 1.00 for mask_light seems to result in clipping if your display is already calibrated for maximum contrast ratio. At 0.10, mask_dark is as low as it can get without completely wrecking the contrast ratio and saturation. I’ve also set gamma to 2.4 and signal resolution to 480, using TVout-tweaks-multipass. 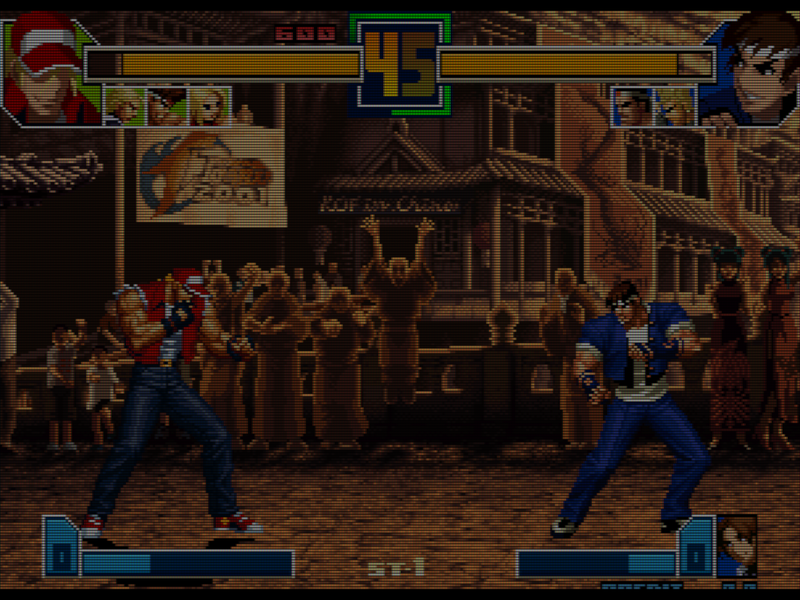 The scanlines are from a custom overlay. The following shots are probably absurdly dark at normal display settings, but look properly bright on my display if I adjust the backlight to 100%. Most LED-lit LCDs should be capable of sufficient brightness with these settings. I think an OLED display with these settings would probably look really good. With proper brightness I can imagine that looking pretty close to a consumer CRT, at least when there’s not too much motion going on. Current OLEDs cannot get as bright as LCDs, unfortunately. Even if they can, their automatic brightness limiters (to protect against overheating) are likely to kick in at those levels anyway. Huh, I didn’t know that. I was under the impression that the brightness of OLEDs was only slightly less than LCDs, but yeah, the overheating/brightness limiter thing is something I didn’t even think about. I was thinking that the superior blacks and contrast ratio of OLEDs coupled with the emissive nature of the display would look closer to how a CRT actually works, but the brightness limiter might be a deal breaker as far as CRT emulation is concerned (at least the way I’m doing it). An HDR-capable LCD is probably the way to go, instead. @ProfessorBraun and @Nesguy: different approaches, both really nice I must say! @Squalo You’re my new best friend, after setting up your color mangler settings manually, I was finally able to really focus in on the changes. Now I’ve been able to get my only color profile going. Sorry if it looks odd, it was done by eye, on a TV that was calibrated by eye, while I was running crt-apeture on top of it. 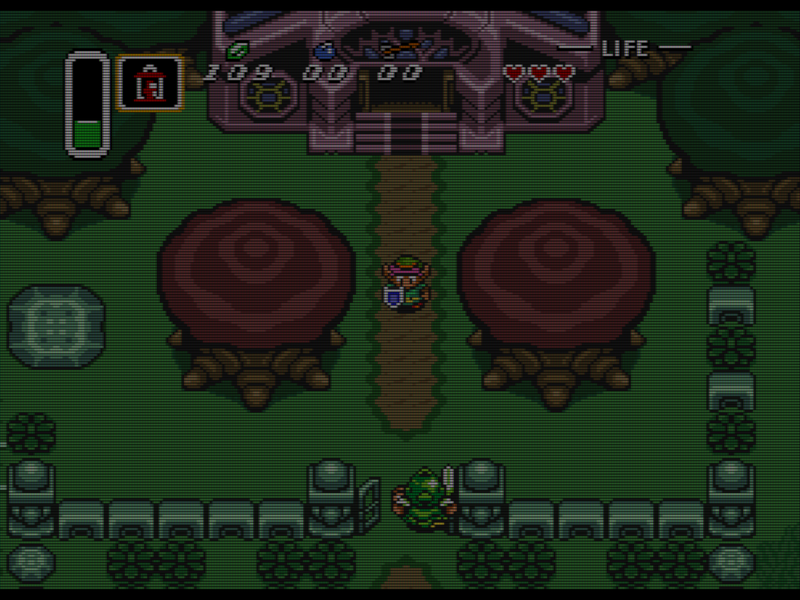 How is everyone getting their screenshots, are you guys just using the one built into retroarch? Which shaders are you combining for the effects? I’m glad you find them useful. Color mangler is here to stay indeed! I screen-capture with reshade by the way. @Diego I’m using color mangler.glsl with a modified version of crt-apeture running on top of it. @ProfessorBraun Thanks, that’s what I thought. I was just wanting to clarify. @Squalo Yeah, I’m really prefering color mangler to using LUTs. An HDR-capable LCD is probably the way to go, instead. How would you actually utilize the HDR levels of brightness? 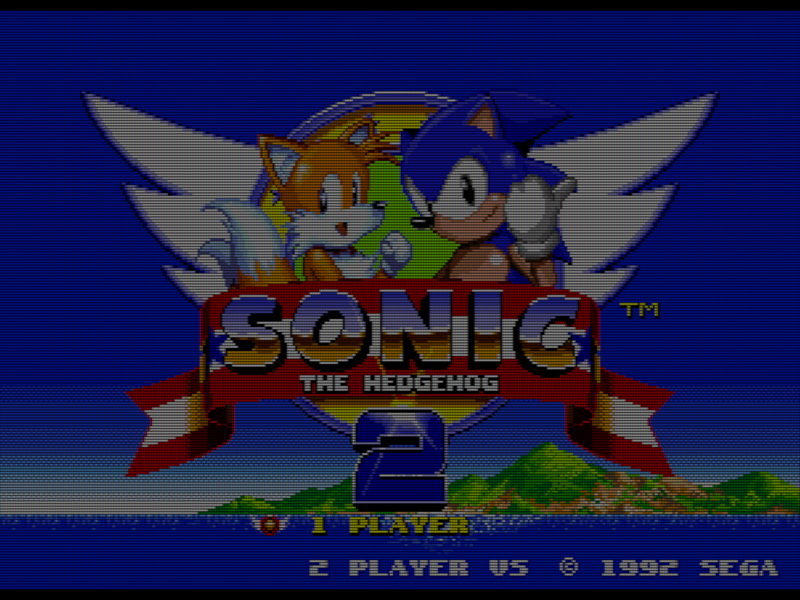 I don’t think RetroArch has HDR support, does it? I’m planning on it, I’m still currently working on this shader.